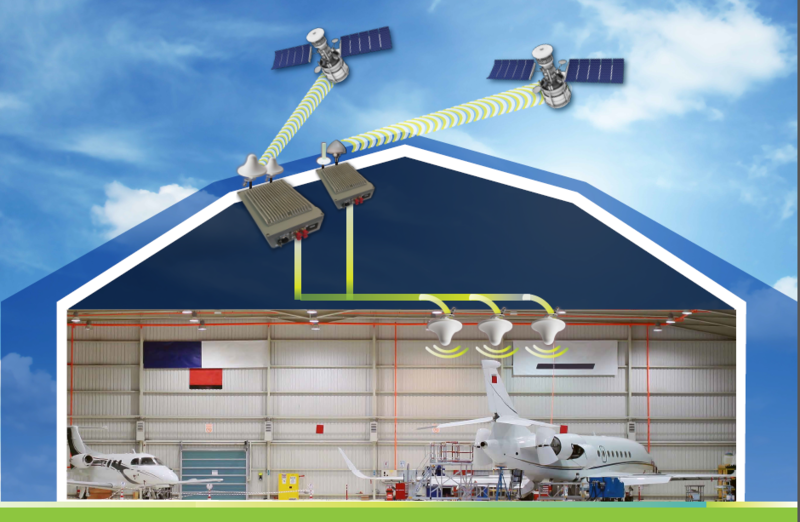 Foxcom's universal repeater solution delivers Iridium, Inmarsat and GPS signals inside any size hangar or large facility. Avionics testing can be done 24/7, in any climate. Direct line of sight to the sky is not necessary with this unique and all-inclusive repeater solution.